Sightpath provides complete solutions for LASIK procedures. We have a long history of mobilizing sensitive ophthalmic equipment. From the latest femtosecond and excimer lasers to custom LASIK aberrometers, you’ll know you’re using the best equipment available — from a proven, trusted mobile provider. Advanced digital technology identifies and measures imperfections in the eye 25 times more precisely than standard refractive surgical methods, enabling the most custom procedure currently available. 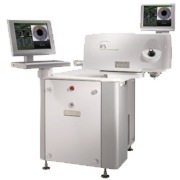 The WaveLight® Allegretto Wave® Eye-Q Laser was designed based on an idea that was once only an imagination: a system with shortened surgery times, innovative and reliable eye tracking, and a clear ergonomic concept. An enhanced pulse frequency of 400 Hz provides even faster treatments. 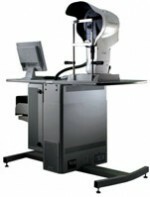 The laser also includes an eye-tracking system adjusted to the high speed of the laser beam and a cross line projector for precise centration. The most advanced excimer laser technology platform available today, the VISX S4 IR system seamlessly integrates data provided by the WaveScan WaveFront® System to deliver highly precise ablations. Provides unparalleled speed and control for faster, safer precision-designed treatments. The iFS™ Laser gives surgeons greater control for maximum customization. Dr. Peter Kohler and his staff in Waterville, ME describe a typical refractive surgery day when Sightpath brings the Excimer and IntraLase lasers. Sightpath engineers perform thousands of laser installs each year. Rides on air, handled with care. Practice support coupled with no capital outlay has helped this Rome, GA, practice continue to be successful.